A familiar location in an unfamiliar situation. This photo was taken from a crag above Tarn Hows in the Lake District on a summer's evening. What was unusual about this shot for me was that I'd never seen Tarn Hows, in the peak of summer, with hardly anyone about! Almost surreal. Tarn Hows is typically one of the most popular areas of the Lake District. In any case, Lisabet and I enjoyed the peace and solitude of wandering around this place to ourselves. The light that evening was very much appreciated, too. Admittedly bluebells are very much seen as more of a spring flower. However, I was late getting to see any bluebells this year and so we were just getting into summer when I made this photograph. Typically, I like to get my bluebell shots from one of the Lake District's more epic locations, Rannerdale. This year, Lisabet and I opted for somewhere new. 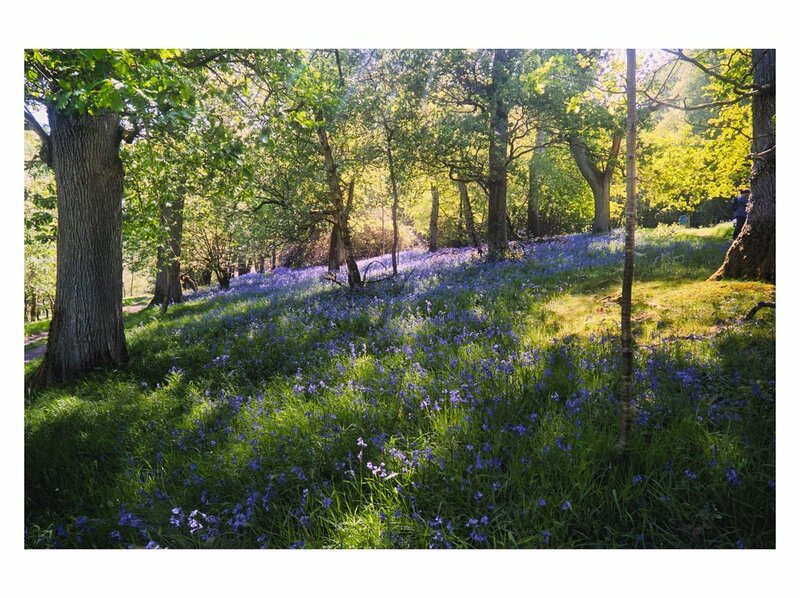 Not far from the village of Dufton in Cumbria, on the edge of the North Pennines escarpment, you can find a couple of woods ripe for exploration, and also heaving with bluebells. I don't think I've ever seen so many in my life. If there's one thing that's defined the Cumbrian summer this year it's The Heatwave. There's usually one heatwave in a Cumbrian summer, perhaps lasting a day or so, or sometimes even a week. However, this year's heatwave has been exceptional; that is, exceptionally hot and exceptionally long. Unbearably hot for me, unfortunately. I fair badly in hot weather. We've seen temperatures top 30+ degrees in some parts of the Lake District, which is almost unheard of. This shot was taken from my living room on a blessedly cooler evening, so it involved very little effort on my part. I couldn't resist the light conditions. Bowderdale is an area I've been meaning to explore for years. Finally, this summer, we got the opportunity to check it out. Bowderdale is one of the main valleys in the Howgills, an area of rolling fells and steep valleys, completely uninhabited, and now part of the Yorkshire Dales National Park. The Howgills' most famous feature is Cautley Spout, a waterfall that tumbles down 650ft (198m), thus making it England's highest above-ground cascade waterfall. But the Howgills has so much more to offer and shamefully I've barely paid much heed to it over the years. Bowderdale proved to be a delight: a steep, wild, perfectly sculpted glacial valley with Yarlside (639m/2,096ft) beautifully positioned right in the middle. 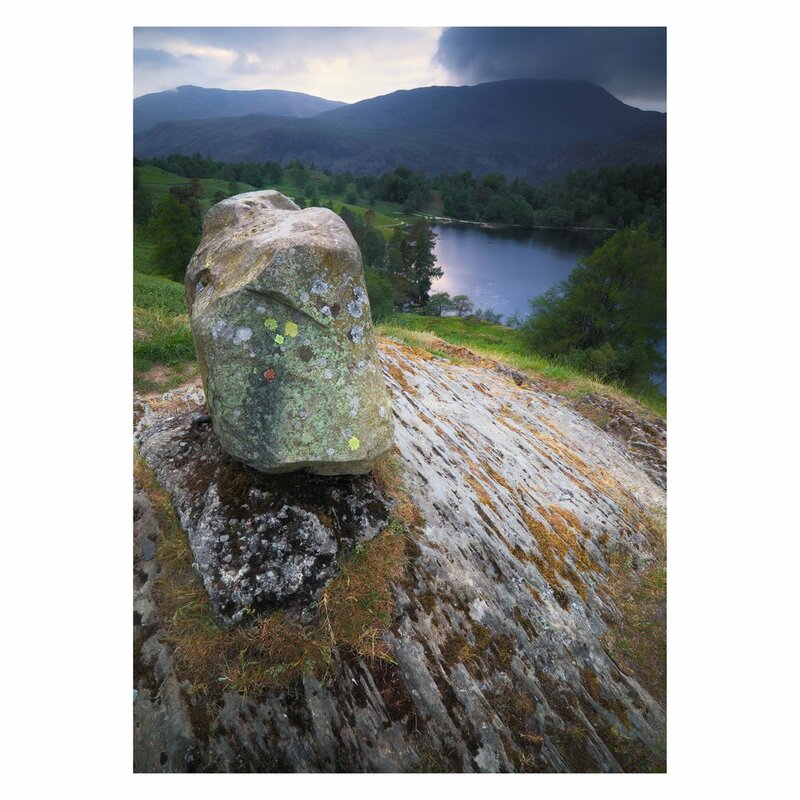 A study of the geology found on this crag I like to photo Tarn Hows from, leading down to the tarn and the fells beyond in gorgeously moody evening light. The more immediate fells will be Oxen Fell and Black Fell, with the Grasmere fells of Silver Howe in the distance. Tarn Hows was originally three tarns: Low Tarn, Middle Tarn, and High Tarn. Low Tarn was dammed in the mid to late 1800s to create the large tarn seen now. Dry stone walls are one of the defining features of the Lake District. You'll find them in the valley bottoms, edging the roads, and riding high up the fellside. They can often be hundreds of years old. And there's no mortar involved; instead their construction relies on a thoughtful process, involving choosing the right kind of stones, stones for different purposes, and making sure the wall is properly "tied in" and "capped". This composition involves a series of focus stacked images blended together into one exposure. This allows the viewer to see both the distant fells of the Langdale Pikes and the moss of the dry stone wall in crisp detail. A cow wandered into the frame on the left as I was making my focus stacked images, and I decided to happily leave her in. The day Lisabet and I explored the bluebell-filled woods near Dufton was also the first day of The Heatwave. Walking around the North Pennines in mid-20s sunshine was somewhat mitigated by the strong winds pouring off the fells above. In this composition, strong sunlight pierces through the woods, creating patterns of dancing golden light as the bluebells swayed and whispered in the wind. The perfectly sculpted glacial valley of Bowderdale in the Howgills. Though now in the Yorkshire Dales National Park, and formerly part of the West Riding of Yorkshire, technically much of the Howgills lies in modern-day Cumbria. I enjoy the rolling, smooth aspect of the Howgill fells and ridges. You won't find pointy peaks or jagged spires here, and I appreciate the variety the Howgills provides. I'm always on the lookout for new compositions involving the Langdale Pikes, my favourite fells. For this composition, I drove to the top of the pass that links Great Langdale with Little Langdale, then went wandering around Side Pike (362m/1,187ft). Down the western shoulder of Side Pike is this dry stone wall, which makes a lovely leading line down into the valley and towards the magnificent Langdale Pikes. Extra bonus points for the sun finally deciding to peak out from the clouds too.